Four G/ATOR systems preparing for fielding located at Northrop Grumman’s Stoney Run test range in Baltimore, Md. 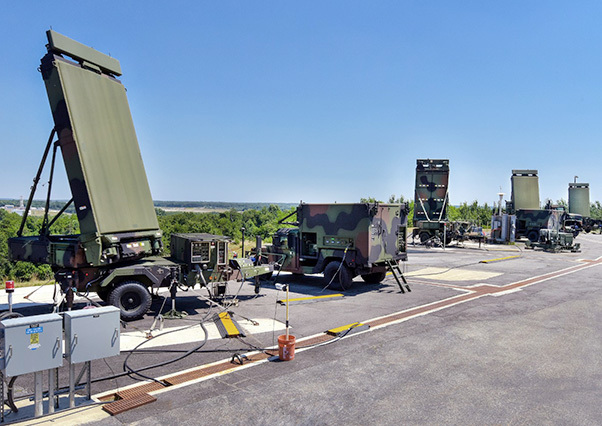 Northrop Grumman has delivered the first AN/TPS-80 Ground/Air Task-Oriented Radar (G/ATOR) that incorporates advanced high power and high efficiency gallium nitride antenna technology, further improving the system’s operational capabilities. This system was delivered ahead of schedule and is the seventh G/ATOR system delivered in the low rate initial production phase of the program. 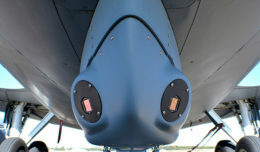 The AN/TPS-80 G/ATOR is an advanced Active Electronically Scanned Array multi-mission radar that provides comprehensive real time, 360 degree situational awareness against a broad array of threats including fixed wing aircraft, helicopters, cruise missiles, unmanned autonomous systems, and rockets, artillery and mortar. It is rapidly deployable worldwide to meet United State Marine Corps needs and includes the latest cyber and digital beam forming technology that enables the radar to perform multi-mission tasks at significantly lower operation and maintenance costs compared to existing USMC radar systems.